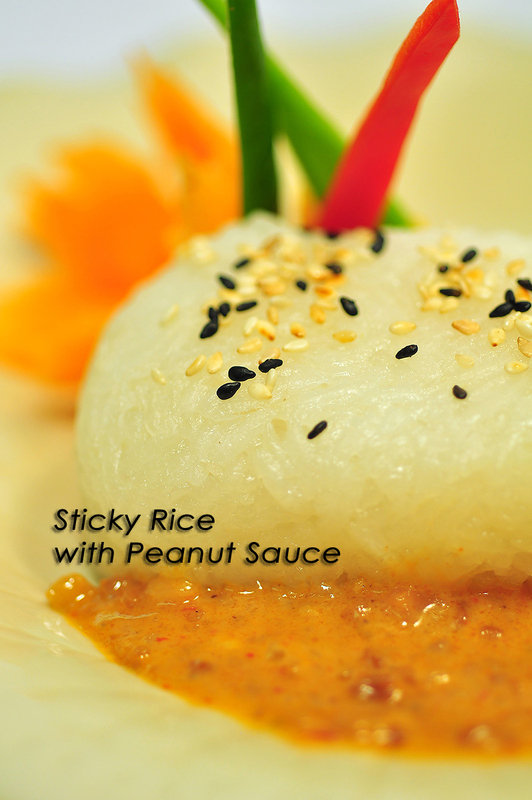 Steamed sticky rice cooked in coconut milk, served with peanut sauce. 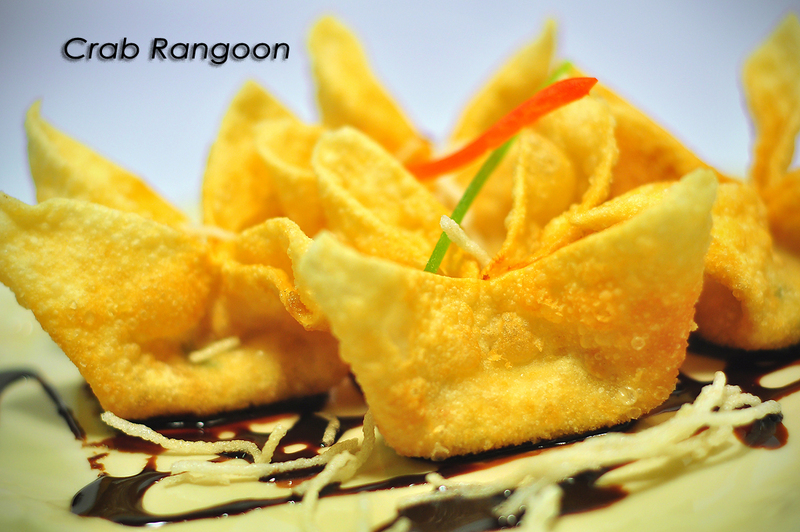 Crispy Thai pastry rolled with glass noodle, bamboo, cabbage, taro, carrot and served with sweet sauce. Deep fried tofu, served with special sweet chili sauce. Crispy pastry stuffed with chicken breast and carrot. 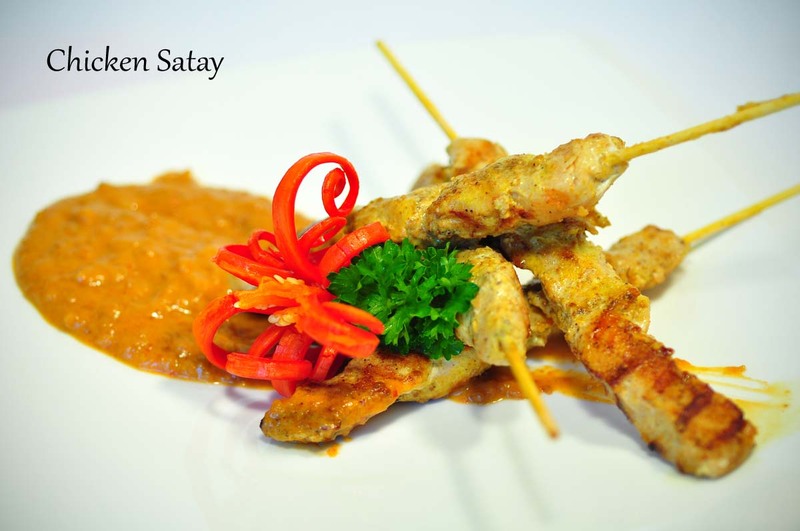 Marinated chicken wings with garlic, pepper and specially blended Thai spices sauce. Crispy shrimp crackers served with peanut sauce. Deep fried Thai pastry filled with crab meat green onion and cream cheese. 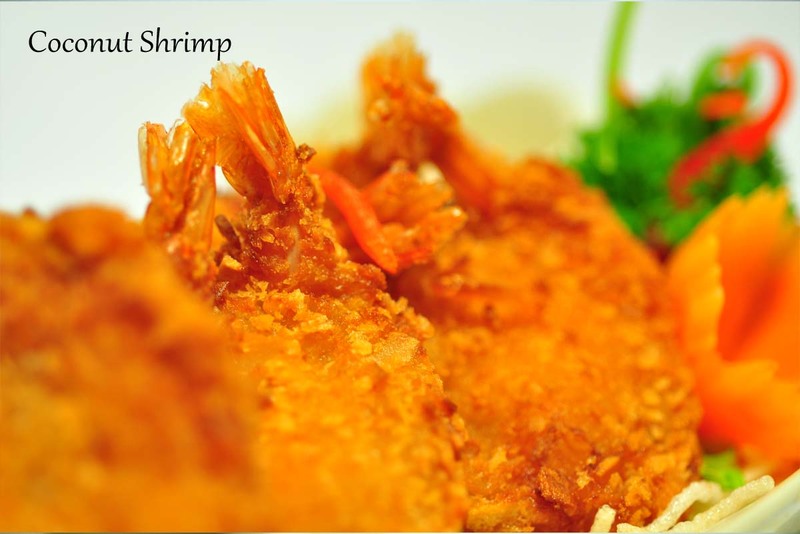 Deep fried Tiger shrimp coated with egg, flour and coconut flakes served with sweet Thai chili sauce. Tofu, lettuce, carrot, cucumber and mint wrapped in rice paper served with exotic Thai sauce. Shrimp, carrot, lettuce, cucumber and mint wrapped in rice paper served with exotic Thai sauce. Marinated chicken breast with spices and coconut milk, served with peanut sauce. 2 skewers of Chicken Satay, 10 pcs of Fried Wonton, 2 pcs of Crab Rangoon,2 pcs of Fresh Rolls, served with peanut sauce and sweet chili sauce. 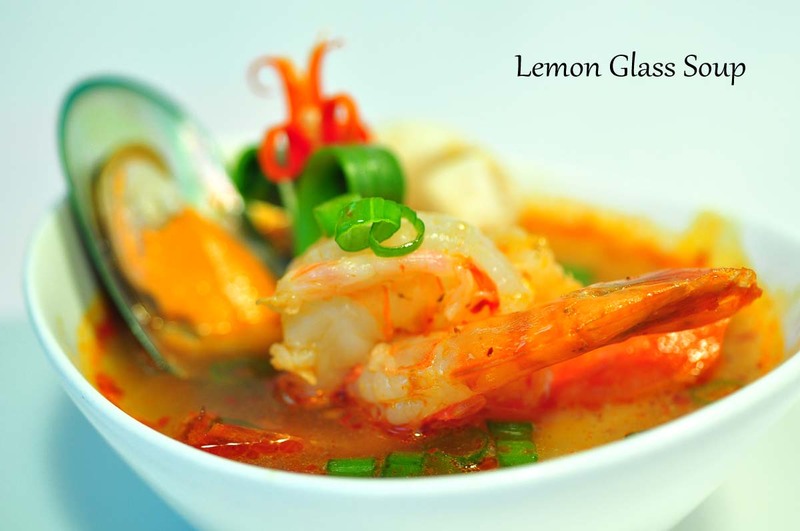 Coconut milk broth with a touch of lemon grass, galangal, lemon juice and Kaffir lime leaves topped with coriander. 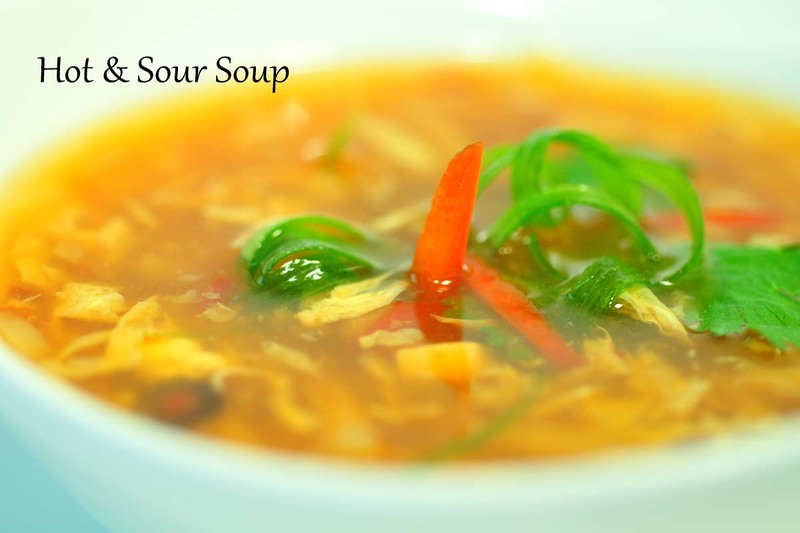 Rich hot and sour soup with bamboo shoots, egg and tofu. Sweet pumpkin blended with Thai herbs. Clear soup with buc choy, mushroom and wonton. Mango with grounded peanut, red onion, carrot and coriander. 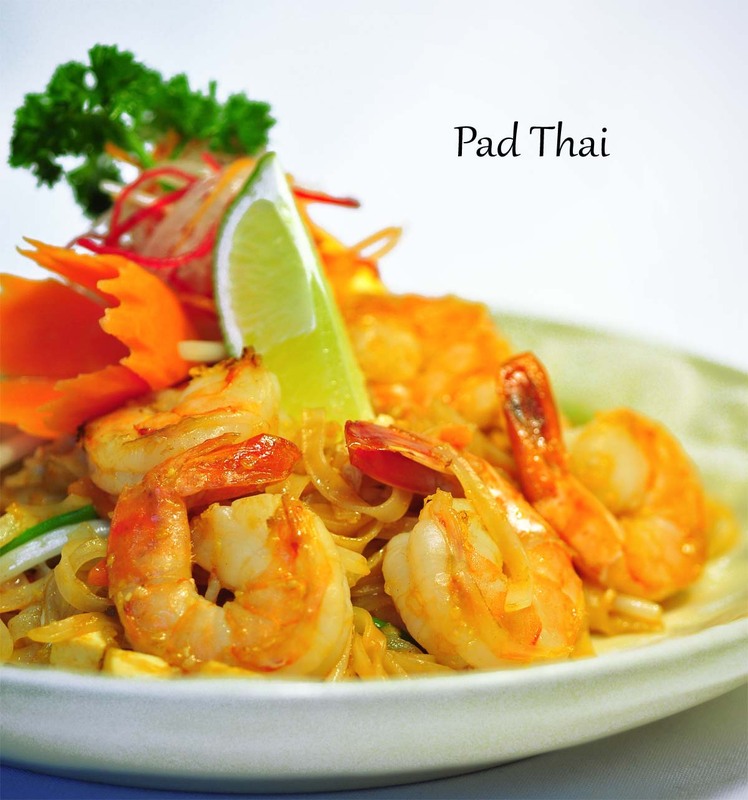 The most famous Thai salad of green papaya, garlic, chili, tomato, pepper, roast peanuts and lime juice. 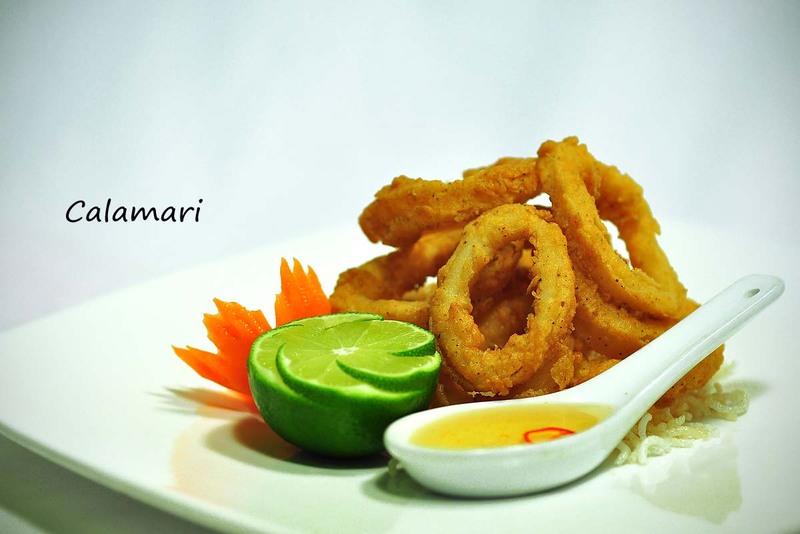 Grilled strips of beef tossed with lettuce, lime juice, cucumber, rice powder, mint, red onion and chili. 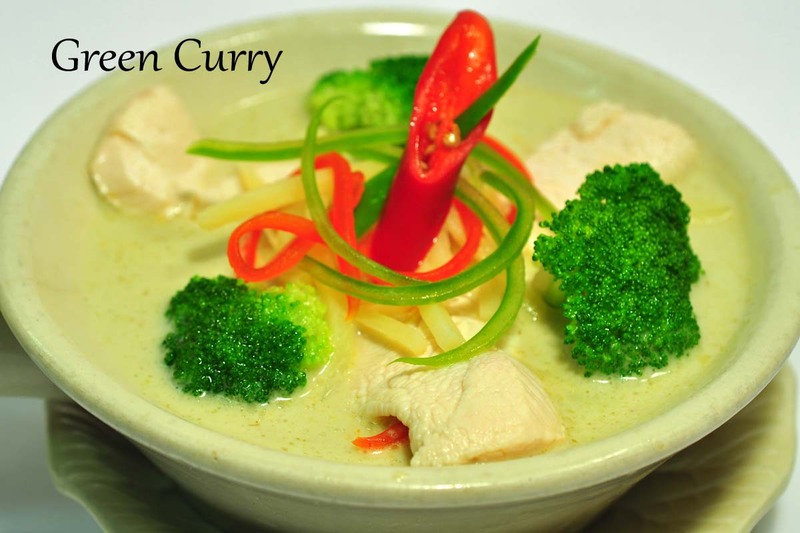 Traditional Thai green curry paste cooked in coconut milk, red green pepper, bamboo shoot, broccoli, green bean, basil. 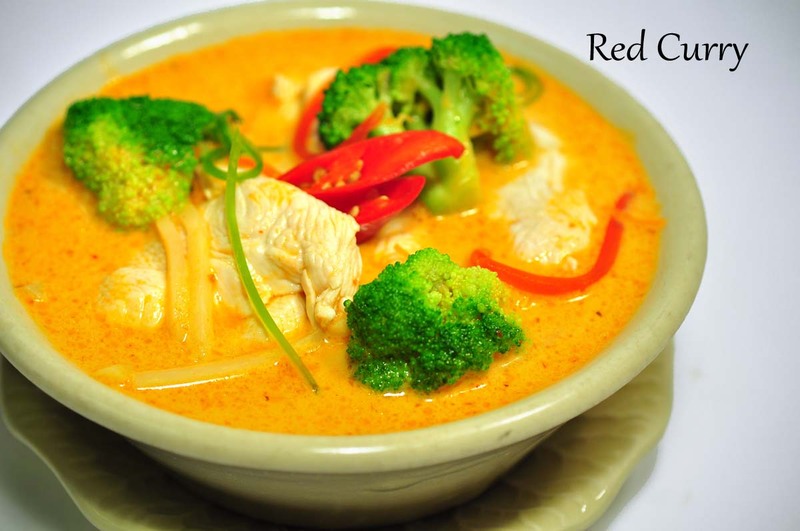 Aromatic Thai red curry paste cooked in coconut milk, red/green pepper, bamboo shoot, broccoli, green bean, basil. 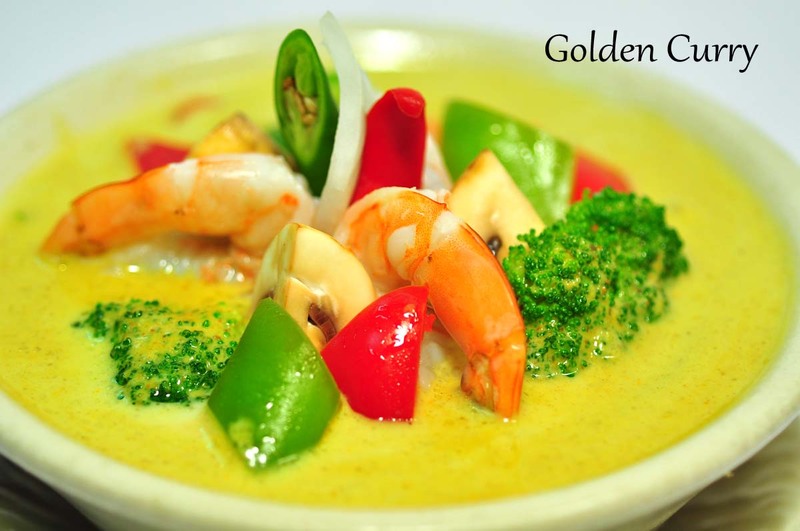 Traditional Thai yellow curry paste cooked in coconut milk, red/greenpepper, white onion, white mushroom, broccoli, carrot. 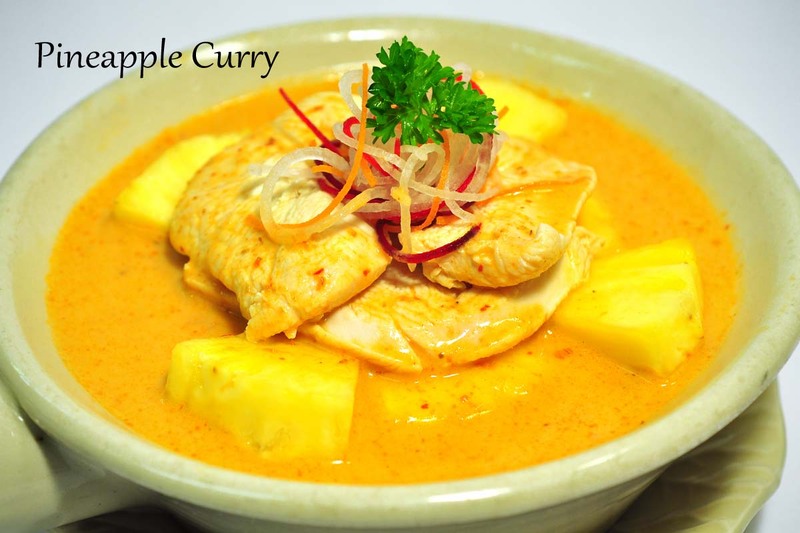 Aromatic Thai red curry cooked in coconut milk and pineapple. 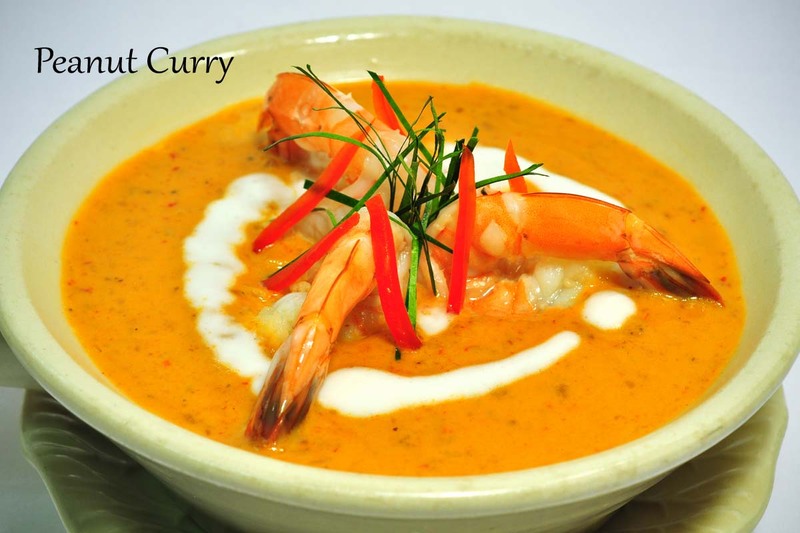 Aromatic Thai red curry cooked in coconut milk and peanut sauce. Thai curry paste with stewed beef, peanut, white onion, potato topped with scallion. 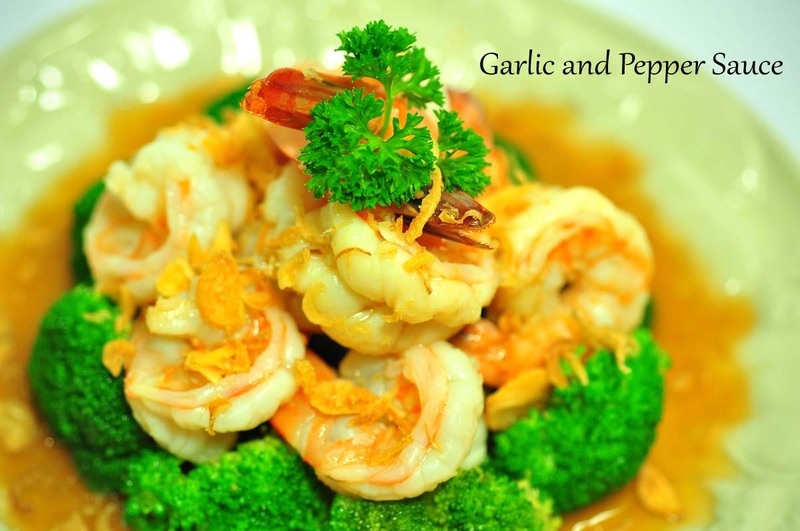 Stir fried fresh garlic, broccoli, bucchoy, nappa, carrot and Thai Sauce. Stir fried fresh ginger, shitake mushroom, white onion, green onion and special Thai ginger sauce. Stir fried chili, garlic, bell pepper, green bean, white onion, carrot and basil leaves. Stir fried fresh garlic, carrot, snow peas, pepper, bamboo shoot, basil. Stir fried ground meat with onion, green bean, bell pepper, holy basil with traditional Thai sauce. 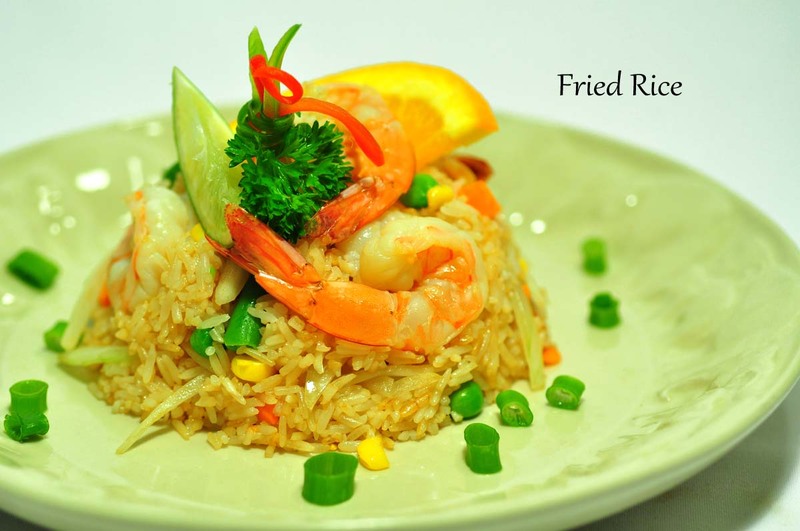 Served on rice and topped with a Thai style fried egg. 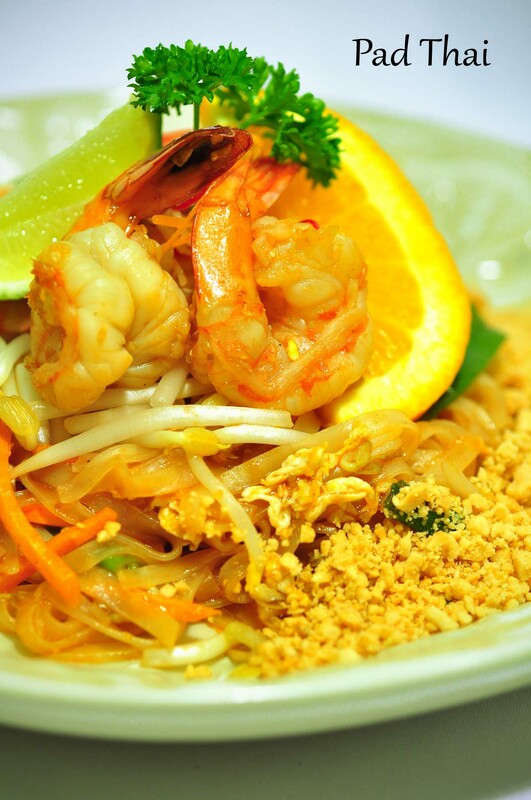 Stir fried Thai rice noodles, egg, tofu, carrot, bean sprouts and green onion in pad Thai sauce. Stir fried flat noodles, fresh garlic, egg and chinese broccoli with Thai sauce. 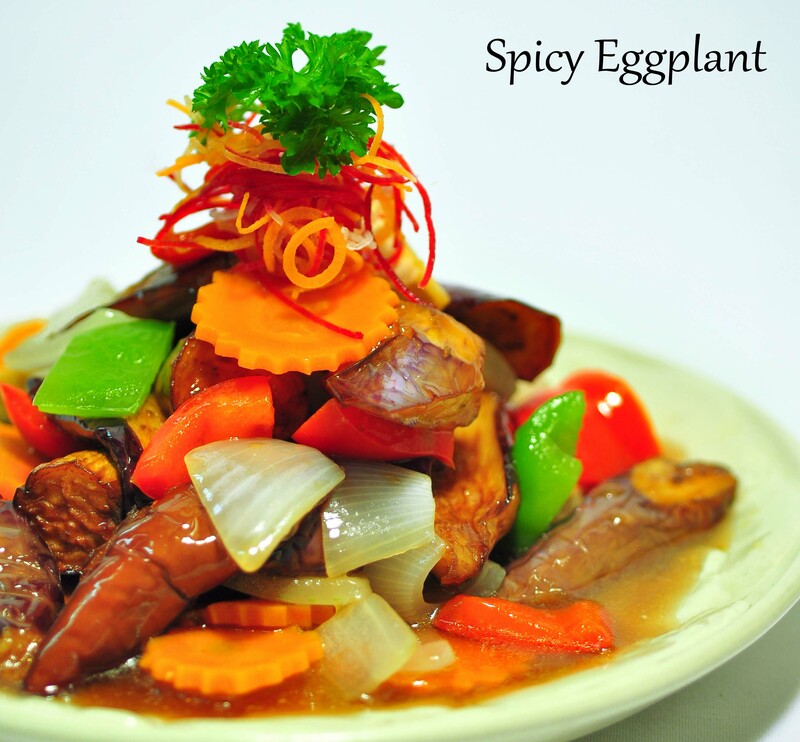 Steam flat noodles topped with fresh garlic, chili, pepper, white onion, carrot and basil stir fried in Thai sauce. Stir fried flat noodle with egg, green/red pepper, sliced carrot, snow peas, white onion and basil in hot Thai chili sauce. Stir fried glass noodles with egg, shitake mushroom, green onion and white onion in Thai sauce. Stir fried Thai rice noodles, egg, tofu, carrot, bean sprouts and green onion in curry pad Thai sauce. Stir fried rice noodles in home style Pad Thai sauce with tofu, egg, preserve cabbage, dried shrimp, red onion, bean sprouts, green onion and ground peanut. Steam noodle with clear soup, bucchoy, bean sprout and top with crispy onion. 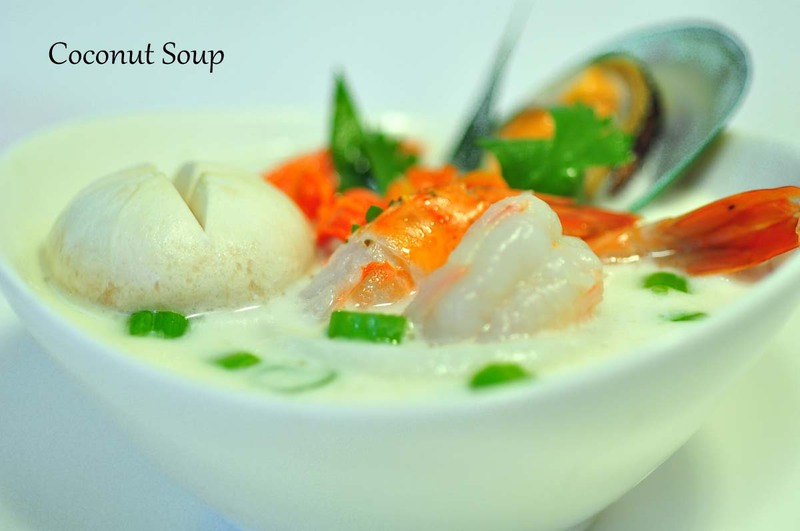 Steam noodle with a house famous Thai soup with lemongrass, galangal, chili, bean spout and Kaffir lime leaves topped with coriander. Steam noodle with famous Thai green curry paste cooked in coconut milk with bell pepper, bamboo, broccoli, green beans and basil. Steam noodle with famous Thai red curry paste cooked in coconut milk with bell pepper, bamboo, broccoli, green beans and basil. Steamed and crispy egg noodle with yellow curry sauce, bean sprouts, coriender, onion and preserved cabbage. Stir fried jasmine rice, egg, onion and mixed vegetable. Stir fried jasmine rice, egg, onion, tomato and Chinese broccoli in Thai sauce. Stir fried Jasmine rice, egg, red/green pepper, white onion, snow peas, basil and special Thai chili sauce. Stir fried Jasmine rice, Thai curry powder, egg, white onion and mixed vegetable. Stir fried Jasmine rice, egg, pineapple, cashew nuts, white onion, mixed vegetable and Thai sauce. 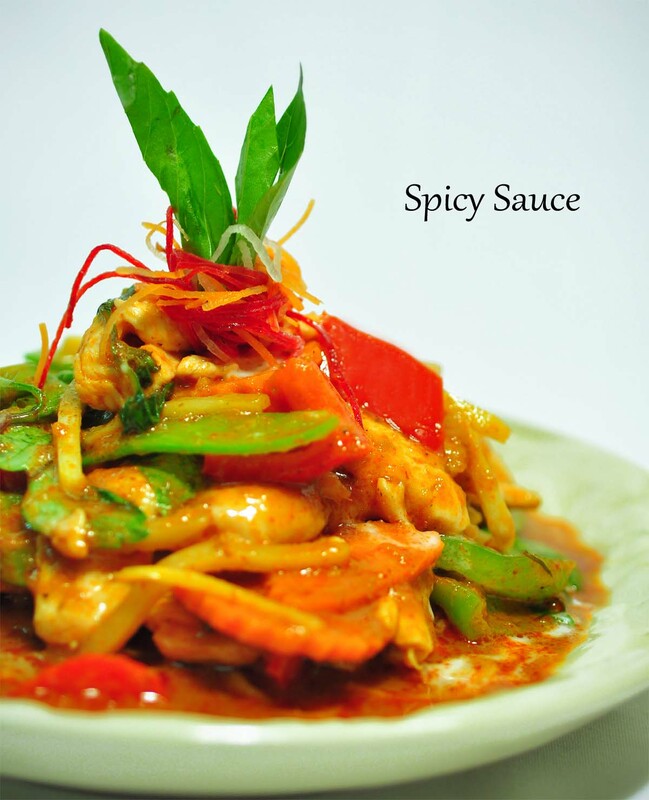 Grilled chicken marinated in Thai special sauce served with sweet chili sauce. Grilled Beef marinated in Thai special sauce served with sweet Thai chili sauce. Crispy fillet fish topped with mango salad. 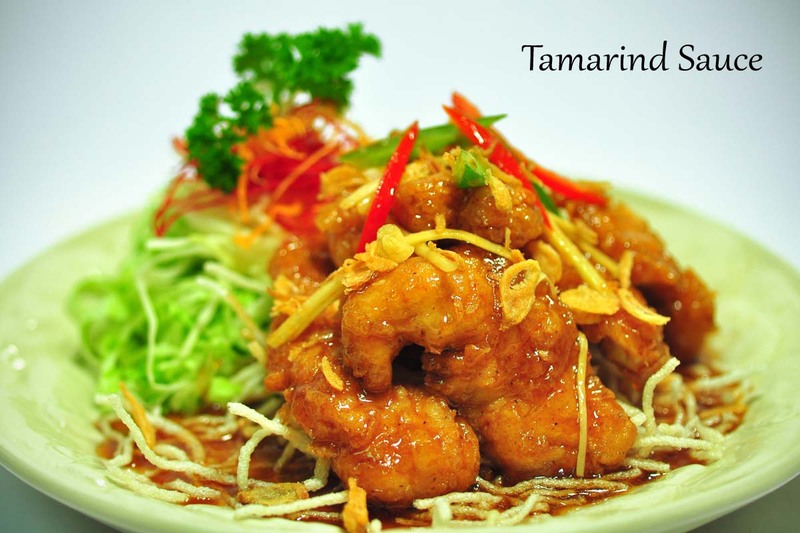 Crispy fillet fish topped with exotic tamarind sauce, ginger, bell pepper and crispy onion. 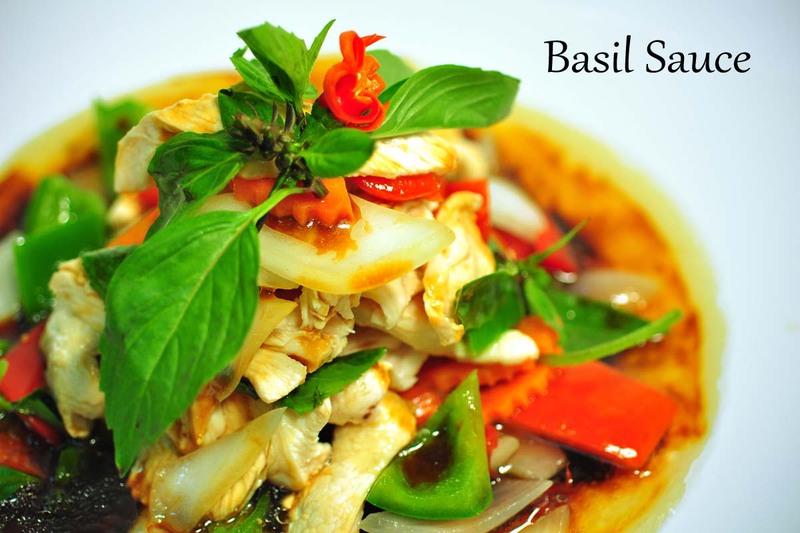 Crispy fillet fish topped with delicious red curry sauce, bell pepper, carrot, green beans, white onion and basil. 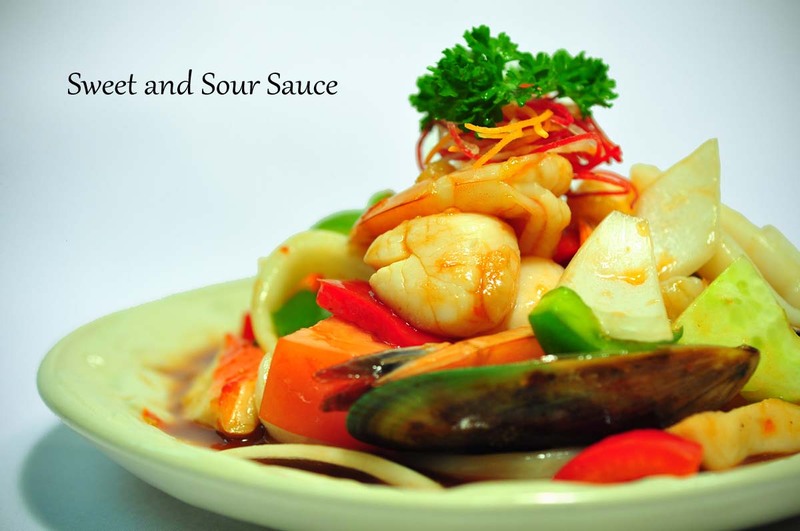 Crispy filet fish topped with stir fired sweet & sour sauce, cucumber, pineapple, tomato, white onion and bell pepper. Stir fried tiger shrimp, scallop, squid, mussel, crab stick with red/green pepper, bamboo shoot, basil and special Thai chili sauce. Stir fried tiger shrimp, scallop, squid, mussel, crab stick with fresh garlic, eggplant, red/green pepper, white onion, carrot, basil and chili. Stir fried tiger shrimp, scallop, squid, mussel, crab stick with pineapple, tomato, red/green pepper, onion, cucumber and Thai sweet & sour sauce.